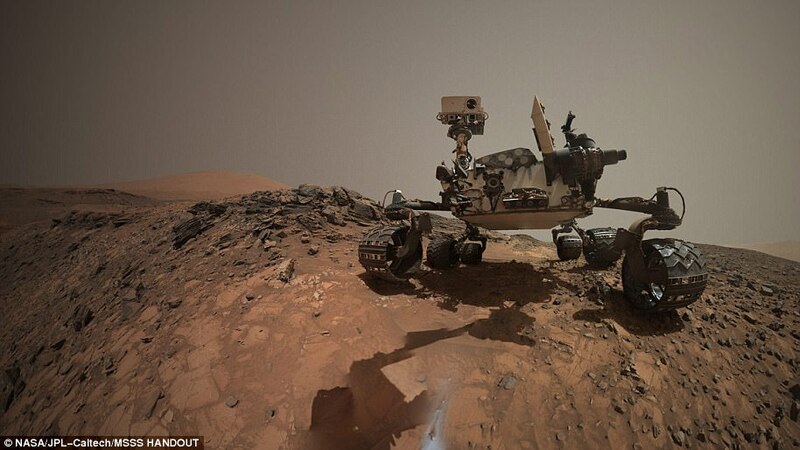 ‘The chances of being able to find signs of ancient life with future missions, if life ever was present, just went up,’ said Curiosity’s project scientist, Ashwin Vasavada of NASA’s Jet Propulsion Laboratory in Pasadena, California. NASA revealed details on the latest findings in a press conference Thursday afternoon. While the announcement may not be the detection of life itself, the finding address factors that are ‘fundamental to our search for life,’ explained Paul Mahaffy, director of the Solar System Exploration Division at NASA’s Goddard Space Flight Center, during the conference. Organic molecules contain carbon and hydrogen, as well nitrogen and other elements. Amazingly, NASA is planning on sending a special helicopter to Mars, as part of their Mars 2020 rover mission.